When traveling to Anaheim there is no need to leave Fido at home; the Clarion Anaheim Resort is a pet friendly hotel! 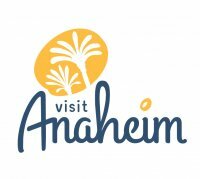 There are plenty of pet friendly areas and dining options in Anaheim for you and your furry friend to enjoy. Reserve your room today and begin planning your visit to Anaheim with your favorite furry friend! Pets must be under 40 pounds. There is a $25 per night per pet charge for guests with pets. No more than two pets per room. We look forward to meeting your four-legged friend at check in!